After I returned from performing our play, Tilda Swinton Answers an Ad on Craigslist at the Edinburgh Fringe Festival August 2018, I was welcomed home with a new book to narrate. 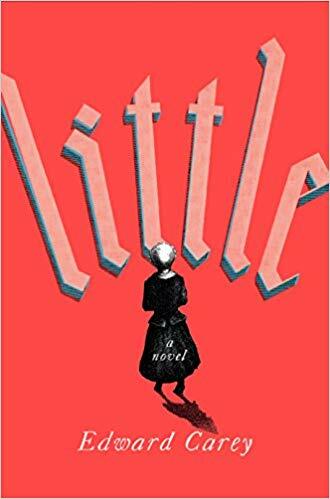 It was Little by Edward Carey. A truly remarkable book about the life of Madame Tussaud. 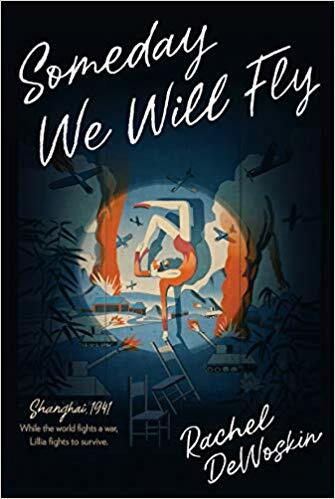 Next on the docket was the YA title, Someday We Will Fly by Rachel DeWoskin. This was one of the most challenging books I have ever narrated. The book begins in Poland during WWII and then the main characters take refuge in Shanghai. There were approximately 150 Polish words and 150 Chinese words to pronounce. When I wasn’t sobbing from the heartbreak in the book, I was practicing both Polish and Chinese words over and over and over again to make sure I pronounced them as accurately as possible. One of the things I cherish about being an audiobook narrator, is how much I learn by reading books I would never normally read. Primarily, it is the YA and children’s books that have so much to teach me. 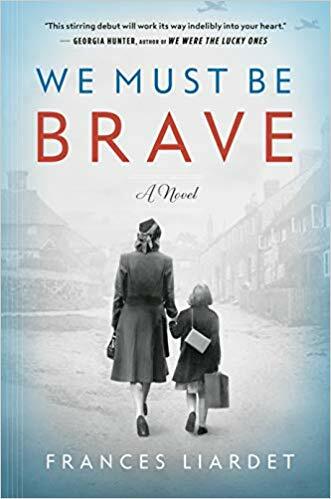 Speaking of heartbreak, We Must Be Brave by Frances Liardet is exquisite! Another WWII story, this time taking place in the south of England. I really lived inside this book and all these months later, it still hasn’t let go. One of my favourite books to be sure! I was thrilled to narrate my first book for Scholastic and what a fantastic book it was! 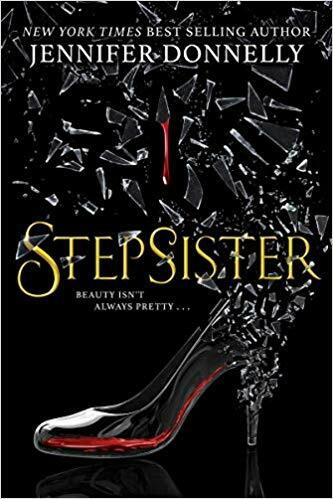 Stepsister by Jennifer Donnelly is a feisty re-imagining of the classic Cinderella fairy-tale, with a twist. Don’t just fracture the fairy tale. Shatter it. 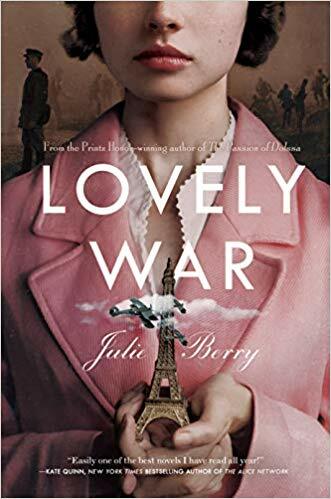 Last and definitely never least, is Julie Berry’s Lovely War. This is the 5th book I have narrated for Julie Berry. We have been nicknamed “the dynamic duo” by the twitter-verse and that nickname is a keeper! Julie Berry writes big, gorgeous, epic stories and Lovely War is no exception. I am joined on the audiobook by some “big” voices; Alan Corduner (swoon), Dion Graham, John Lee, Fiona Hardingham, Steve West and Nathaniel Parker. So, the little play that could keeps on “coulding.” Tilda Swinton Answers an Ad on Craigslist. This year we performed at the San Francisco Sketch-Fest and at The Vault Festival in London. 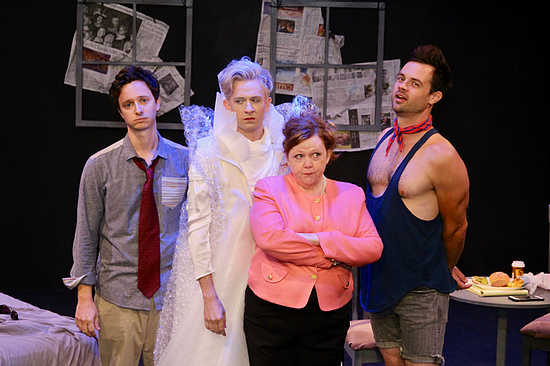 We are preparing to go to New York for 2 weeks (April 2019) to perform at the Laurie Beechman Theater AND we are thrilled beyond beyond to return to the Edinburgh Fringe Festival for the whole month of August 2019. If you live in Los Angeles, we will perform a few shows in May 2019 at Casita del Campo in Silverlake. Thank you for stopping by. You can always drop me a line by visiting the Contact page – I’d love to hear from you.